The classic concert venue is poised for a proper comeback. The Ludlow Garage is legendary for some of us in Cincinnati. The Kinks, The Allman Brothers, The MC5, and Iggy Pop all performed there in the heyday of the 1970s. When I caught wind that Brian Knueven and Kevin Worthington had taken over managing the place under the new ownership of David Taylor, I decided to look into what they have in store. According to Knueven, there are plans to re-configure the entire concert space. He explained that the previous owner had installed the theater seats, which will do for now, but the original space was really one big room. The plan is to open that area back up, include some seating, and put a bar in the performance area. The entire bar upstairs has been remodeled and expanded. Overall, the plans are to create a concert venue that maximizes the audience experience. 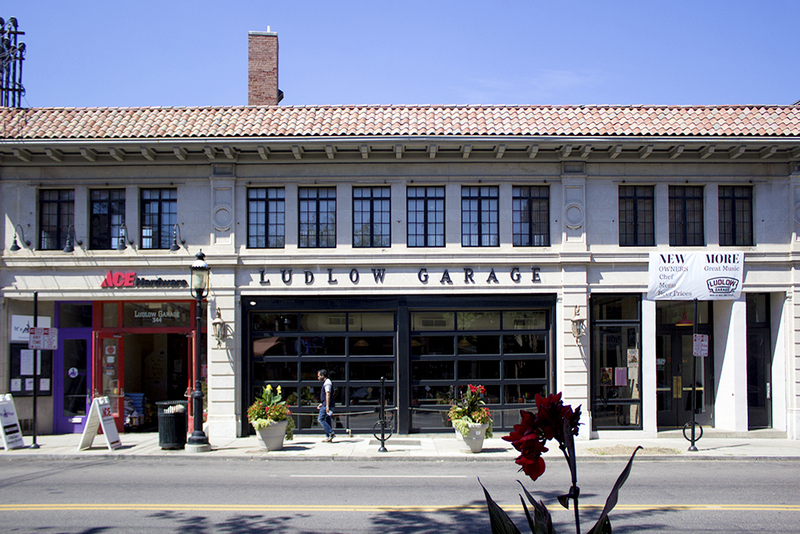 This is part of a larger vision: Knueven explained that they see the Ludlow Garage as a community-oriented venue—one that will grow and evolve with the Clifton Gaslight district. Management stayed on top of the gigs that were already on the books, never missing a beat (even through some rough nights in the first few weeks). They have hosted Pure Prairie League, members of Little Feat, and some national jazz acts. Plans are in the works to feature local music. A.M. Nice, and Van Echo recently took the stage. No plans yet to allow for the chaos and menace of Iggy or the MC5, but a full roster of music is ready to go at the Ludlow Garage. A new menu is on offer (great burgers!). And the space itself is heading toward its old glory and ready for its new sounds. Michael Templeton is currently working as a freelance writer providing blog content and articles for small presses and arts organizations. His most recent essay, “Punk Rock in Pence Country,” appeared in The Culture Crush.